The Cambridge 32" Wide Floor Lectern from Dalite has flush panels with wood-trimmed square-edged design for a deep, rich appearance. 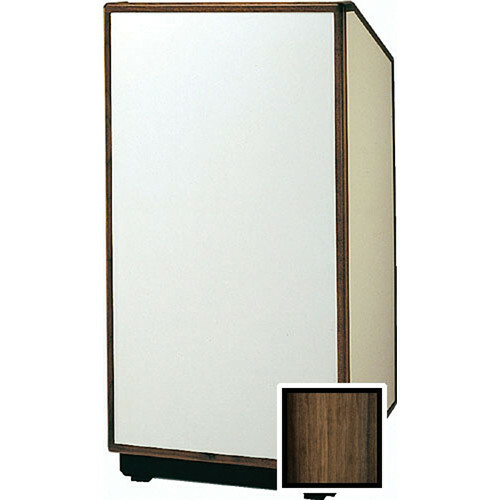 With a push of a button, electronically raise or lower the lectern's height within an 8" range. Box Dimensions (LxWxH) 58.0 x 28.0 x 28.0"